For business or pleasure, this high-quality and easy-to-use XGA , 5.000 -lumen Installation projector works equally well at education environments or in the Meeting room . An XGA, 5.000 Lumens LCD Installation Projector with a vast range of adjustment, and BrightEra for higher quality colour and a longer lifespan. Brilliant images are possible even in rooms with high artificial light levels. Text is reproduced clearly and legibly, while graphics and video retain excellent color saturation and contrast. Lamp replacement is pushed back to 8,000 hours (in Eco Mode) or 6,000 hours (in Normal Mode), saving organizations money, labor, and inconvenience. 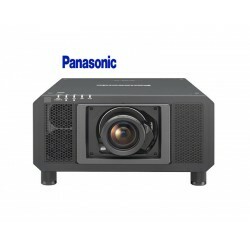 You can buy Panasonic PT-FX500E online in Malaysia on www.projectorbiz.com, the best price and after sales services.